Our buses are maintained throughout their life to the highest standards given they were used to transport children daily. When it’s time to replace our older buses with new ones, it’s an opportunity for others to buy them at a low price. Roadworthy, reliable buses that will meet the needs for many businesses, organizations or for your own leisure purpose. For purchase inquiries, submit the Used Bus Inquiry Form (below) now for a fast response. 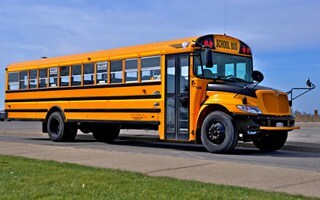 Fill out the form to inquire about our used buses and receive a quick response. Please reference the bus number (if inquiring about a specific bus). Want to learn more about when our buses are coming into our used bus sales inventory? Feel free to submit the inquiry form and ask what’s coming up for sale, and how you can potentially get early access to seeing the bus. We’re here to help to get you our used buses quickly and efficiently.